"Cowboys Battle Monsters in the Lost World of Forbidden Valley." The movie takes place in a small town in Mexico. When Tuck Kirby arrives in town, he came to visit his ex partner and girlfriend, T.J.Brenkeridge. She owns a small Wild West show which is having financial difficulties. Mr. Kirby tells T.J she should marry him, but she shows him a miniature horse, which she acquired from a man named Carlos. Carlos obtained this miniature horse from the Forbidden Valley. It is then taken to a paleontologist who determines that this miniature horse was thought to have been extinct for over 50 million years. However, before the horse can be placed on display, gypsies steal it and return it to the Forbidden Valley. The Forbidden Valley has been the home of Gwangi, a prehistoric dinosaur. Tuck, TJ, and several cowboys enter the Forbidden Valley and find themselves in a prehistoric land. Their plan, to place Gwangi on display after they capture him, is foiled by the gypsies again. Gwangi's free and rampages through the town until Tuck and TJ are trapped inside of the cathedral. 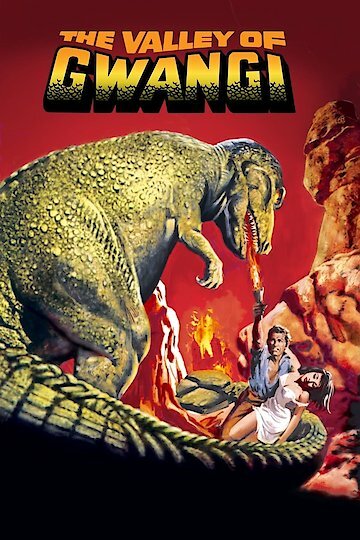 The Valley of Gwangi is currently available to watch and stream, buy on demand at Amazon, Vudu online.